A dramatic policy change has seemingly slipped under the radar this week and will affect millions of expats living in the United Kingdom. From 23rd October, all hospitals across the country will be requiring their patients to present proof of immigration or pay for treatments up front. The Passport Policy, as it is known colloquially, is part of a cost-saving process from the Conservative UK government. The National Health Service first began back in 1948 and provides free access for all citizens of the United Kingdom. Often regarded as one of the best medical services in the world, the NHS even received its own honour during the London Olympics in 2012. The NHS is a point of pride for many people in the UK who work within and rely on it. In recent years, the NHS has been facing cutbacks and a lot of the blame has gone onto the act of medical tourism. Medical tourism is defined as the act of going overseas to seek better quality medical or health treatment at a cheaper cost. The process costs the NHS upwards of a billion pounds each year, which is why they are choosing to make sure those who are entitled to free healthcare are the only ones receiving it. However, while the sweeping statements policy like this sound good in a soundbite, there are many problems beholden to it. As the group Patients Not Passports have pointed out, this will add stress to doctors who are supposed to treat patients and for patients unaware they need to supply proof it will feed into longer waiting times. More than anything, this environment of mistrust will negatively affect victims of trafficking who are in the country not of their own accord. In recent days there has been some reprieve from this, as school nurses will not be required to check the immigration status of patients. Only time will tell how this policy will affect the health of the nation. The immigration process is a very stressful time and health problems can manifest in this time. 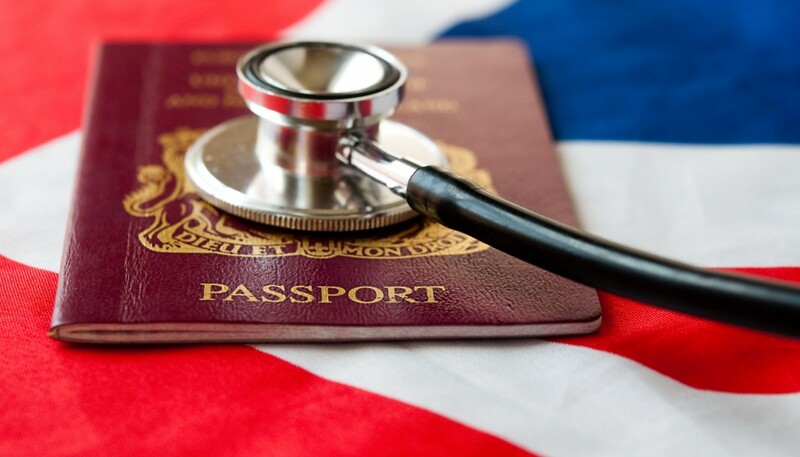 The waiting times for visas are increasing daily and the road to British Citizenship is taking people years; it can lead people to feel alienated from our National Health Service. The NHS is a revered institution around the world; it’s inevitable that it’s going to change with the times, but patient care should be the first priority, regardless of anything else.